See more objects with the tag sustainable, health, sanitation, access. This is a Project. It was designed by Michael Francis, Josiah Omotto, Peter Murigi, Malcolm Ormiston and Umande Trust. It is dated 2006–2011. Its medium is bricks, sand, cement, ballast, reinforcement bars, timber, roofing materials. 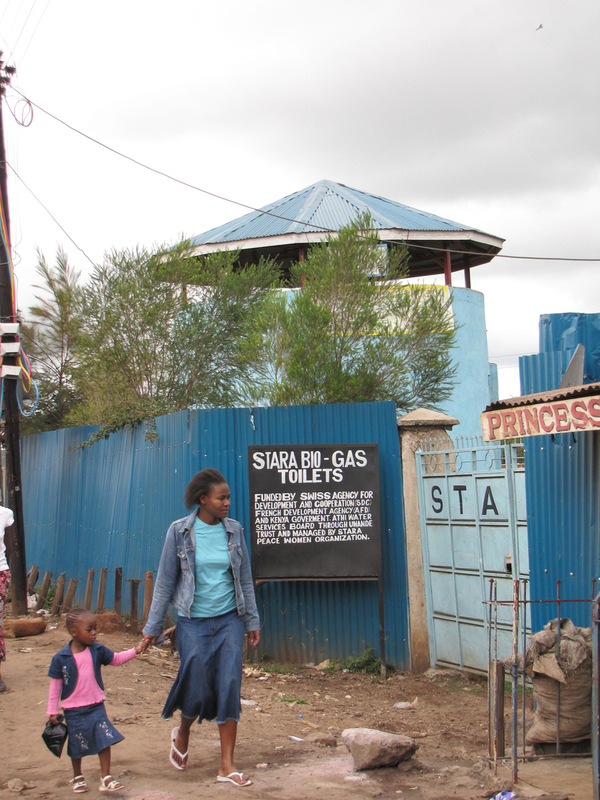 In the slums and informal settlements of Nairobi, there is only one latrine for every 150 people, leading to pollution and diseases. 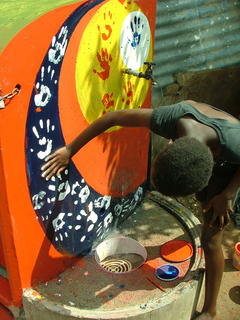 Kenya-based Umande Trust worked with residents and artisans in the slums of Nairobi and Kisumu to design the BioCentres. Built from locally available technology and materials, the multi-story BioCentres uses anaerobic—or airless—digestion, in which bacteria transforms human waste into fertilizer and methane-based gas for cooking and heating water, reducing carbon emissions. 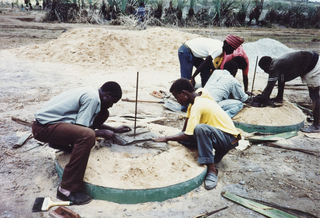 A shallow pit latrine feeds into a domed underground bio-digester and expansion chambers, which need little maintenance since there are no moving parts. 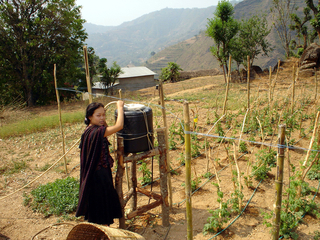 Generated bio-gas and liquid fertilizer can be sold for income.